In 1895, when he was no longer in a position to send White House Christmas Cards, Harrison and the woman who would become his second wife, Mary Dimmick Harrison, used the opportunity of their 1895 Christmas correspondence to announce their intention to marry. Ms. Dimmick was the niece and former caretaker of Harrison’s first wife and was also 25 years his junior. Neither of his adult children approved of the union and declined their invitations to the wedding, but Harrison declared, “I do not wish to spend the rest of my days alone.” The pair was married the following April. 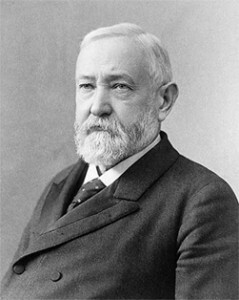 Benjamin Harrison was born on August 20, 1833 in North Bend, Indiana. He was the son of a farmer and the grandson of the ninth President of the United States, William Henry Harrison. While growing up, Benjamin spent most of his childhood Christmases on a farm adjacent to his grandfather’s sweeping estate. Even as a boy, he felt destined for greatness. 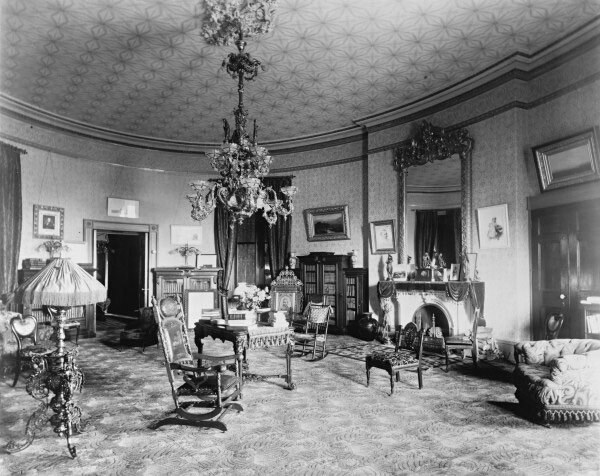 A late 19th Century picture of the second-floor Oval Room in the White House, where Benjamin Harrison began the tradition of decorating a White House Christmas tree. The Oval Room is now formally known as the Blue Room. In 1852, he graduated from Miami University in Ohio near the top of his class and began studying law at a prominent Cincinnati firm. One year later, he married Caroline Lavinia Scott, a young woman he had known for the better part of a decade. The couple would have two children – Russell Benjamin, born 1854, and Mary “Mamie” Scott, born 1858. In 1854, the Harrisons moved to Indianapolis and Benjamin started his own practice. As a young lawyer, he became an active member of the new Republican political party, supporting their first presidential candidate, John C. Fremont in 1856 and working for Abraham Lincoln’s 1860 campaign. When the Civil War broke out, Harrison joined the Union Army as part of the 70th Regiment of the Indiana Volunteers, reaching the rank of brigadier general shortly after Christmas 1863. When the war ended, he returned to politics as a “Radical Republican” – a group which championed equal rights for newly freed slaves and harsh policies towards ex-Confederates. In 1876, Harrison won the Republican nomination for governor of Indiana but lost in the statewide election. He was appointed to the U.S. Senate by the Indiana legislature in 1881. Benjamin Harrison was known as a religious man of great intellect and unbending principle. In 1882, he broke with his party and made the politically risky choice to oppose an act which would bar Chinese citizens from immigrating to the U.S. He felt that it stripped these individuals of their rights guaranteed under previous legislation. It is unlikely that Harrison received any Christmas gifts from Republican leaders in 1882 and the Chinese Exclusion Act would end up passing without his support. All was forgiven by 1888 when the Republicans nominated him to run against incumbent Democratic President Grover Cleveland. In the election, Harrison would end up losing the popular vote by 100,000, but his well-funded campaign outspent the President in the crucial swing states of New York and Indiana. It proved to be the deciding factor in his 233-168 Electoral College victory, made official before Christmas of that year. Harrison’s presidency is noted for an internationalist foreign policy which sought to expand American influence abroad. 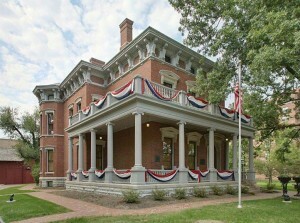 He convened the first International Conference of American States (1889-90). The conference established the Pan-American Union, an exchange of cultural and scientific information amongst the American nations. Harrison resisted pressure from Germany and Great Britain to abandon the U.S. portion of the tripartite protectorate of the Samoan Islands. After helping depose Queen Liliuokalani a few weeks after Christmas 1892, he attempted to annex the Hawaiian Islands but was blocked by Democrats in Congress. 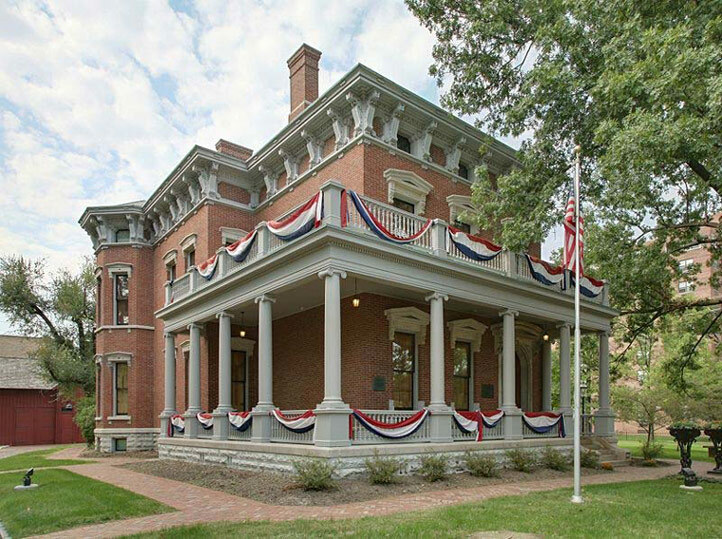 Benjamin Harrison's home located in the Old Northside district of Indianapolis, Indiana, where he celebrated Christmas with his family after his presidency. In 1890, due to poor economic conditions in the rural West and South, Harrison bowed to conservatives and nurtured the passage of the McKinley Tariff Act, which significantly raised duties on imports. Ultimately, this would lead to an increase in the price of common goods and a dissatisfied electorate. To appeal to rural states and reformers in government, he oversaw the passage of the first major piece of legislation to ever limit the power of America’s largest corporations – the Sherman Antitrust Act. This act outlawed every “contract, combination…or conspiracy in restraint of trade or commerce.” The Sherman Silver Purchase Act was also passed. This legislation required the federal government to purchase a minimum of 4.5 million ounces of silver from western mining interests each month for use in the production of coins. Before reading this, I knew nothing about President Harrison. Now I know he was a pioneer of sorts who stood by his ideals…he popularized the tradition of the White House Christmas tree, supported the rights of freed slaves and Chinese immigrants, and married a much-younger woman related to his deceased wife! Very interesting article. I was excited to read the part about Queen Liliuokalani because Leon Uris based a character on her in his book “Hawaii” which i absolutely loved. I’m not sure if the character in the book is actually her or loosely based on her but it was still nice to see non-fiction juxtaposed with fiction.